Mike Mahler has trained many elite MMA fighter and throws around 105 pound kettleballs like we toss a bag of groceries on the counter. And, in fact, he's become of the world's foremost kettleball coaches and is known for his deep knowledge of practical strength training. What is particularly unusual, though, is that Mike Mahler is a vegan and has been for years and years. This strong man has built his body and strength with nothing but plants, something that many people thought was impossible just a few years ago. When virtually all elite bodybuilders and athletes in power sports were gulping down hamburgers, whey and eggs, Mike had made a decision to leave all of that behind. He had very few examples to go by at that time and was literally a pioneer in building muscle, mass and strength on a pure vegan diet. And, if you've seen pictures of Mike, you know that it has worked and worked well. Over time, he has shown the world that protein is protein, plant or not, when it comes to building mass. Mike Mahler was a huge influence on my own life as I reached a point where I realized that my current Western-esque diet was killing me. At the time I had also discovered the incredible power of many plant foods to improve blood flow and nitric oxide output. What stopped me from transititioning to these foods was the concern for losing muscle and, frankly, looking like one of skinny, emaciated guys that I associated with vegetarianism. Reading Mike Mahler's story made me realize that the idea that plant-based diets do not go with bodybuilding and strength was simply a myth. Q. I am sure that your diet today is different than when you first became a vegan? What have you learned along the way about ways to optimize a vegan diet for health and fitness? Q. Your name is synonymous with Kettleball training. In your opinion are exercise programs such as kettleballs the best all-around form of exercise? Do you feel comfortable recommending a well-rounded kettleball program as one s only form of workout? A. (The best overall workout program is the one the individual will actually use regularly. No one program or training tool is the best for everyone. That said, kettlebells are a very efficient training tool to build strength, flexibility, and endurance. You only need one or two kettlebells to get in great shape. They do not take up much space and are portable. You can train at home or take a kettlebell to the park or beach. The ballistic exercises such as cleans, swings, and snatches really work the posterior chain and when done in high repetitions or volume build incredible endurance and work capacity. I do feel comfortable recommending kettlebells as the only tool for building everyday fitness. However there is no need to make such a choice. One can easily combine kettlebells with bodyweight training and other forms of exercise. If one wants to get super strong then barbells needed to be added as you cannot beat barbell squats and deadlifts. However, for everyday people that want to be fit, kettlebells can certainly be the focus. Q. You find cardio boring and I feel the same way. Can you explain how you can get the same benefits of cardio from strength-based exercises such as kettleball? A. By doing the ballistic exercises for time such as a ten minute set of kettlebell swings or snatches or doing circuit training workouts. Pick 5-7 KB exercises and do one after the other with very short breaks or no breaks for several rounds. Q. One of my favorite topics is testosterone and you are known for being a hormonal expert. I know this is a broad question, but can you give us a few tidbits as to how to use your training and fitness techniques to optimize male hormone levels? A. Training is important to build muscle and stay lean. The more muscle you have the more androgen receptors you have to pick up androgens such as testosterone. Keeping bodyfat low keeps aromatase enzymes low which are abundant in fat cells and convert testosterone into estrogen. High intensity exercise such as sprinting also increases levels of growth hormone which is important for building muscle, burning fat, and aging well. Next restoration is very important so balancing adrenaline exercise with restoration exercise is important. Practice tai chi, chi kung, or meditation several times per week to lower the stress hormone cortisol and increase the ultimate stress management hormone DHEA. High levels of cortisol lowers testosterone so stress must be managed as well. Q. A lot of middle-aged and senior men read my site. What advice would you give them when it comes to strength and/or weight training? In other words, should they be doing anything differently than what they did in their 20 s and 30 s? A. Don't waste time with isolation exercises such as curls and triceps pushdowns. Focus on compound exercises such as squats, deadlifts, bent over rows, military presses, and pull-ups. Avoid training to failure and use good form on every rep. Less volume and more recovery time become important as you get older so do not be afraid to take an extra rest day or cut off a set or two at workouts. Q. What if someone really enjoys weights and wants to integrate kettleball training into his program? Are their advantages to doing this? A. Kettbells are weights so that is the first thing you want to remember. Use kettlebells at the end of a regular workout as a finisher or on off days for active recovery. Ballistic KB drills are great after deadlifts and squats to really loosen up. Kettebells work very well as a supplement to any weight training regimen. You can also replace many dumbbell exercises with kettlebells. For example, use kettlebells for presses instead of dumbbells. Q. Many of the men coming to my site have Metabolic Syndrome, high blood pressure and/or various stages of cardiovascular disease. How can kettleballs benefit men in these categories and how can they best get started? With training focus on the kettlebell ballistic exercises such as swings and snatches for timed sets or high volume sets such as 10 sets of 10-20 reps with short breaks. Do this three times per week. Go for a walk every day and focus on deep breathing. Meditate daily as well and make sure you get deep sleep every night. Q. You have written that one can put on muscle with .7-1.0 grams per lb (assuming you are not overweight). Now I m an ectomorph s ectomorph and have put on muscle at your recommended levels. But why do all the bodybuilding mags and sites promote at least double that figure? Surely, it s not just to sell protein powders? A. One yes it is to sell protein powders as magazines have big bills to pay and it is the advertisers that pay it. Some people will need more protein than 1 gram per kilo. I know many that due great on 2 grams per kilo. However, 1 gram per kilo is a good starting point. Franco Columbu once told me that he and Arnold would eat one gram of protein per kilo and then added 30-40 grams on top of that when training hard. Sure they used steriods but that would be more of an argument to take more protein if it were beneficial due to the additional protein synthesis. Q. How do you think a guy like Jack LaLanne was able to train at such intensity levels for so long day in and day out without overtraining? Was he just superhuman? A. He actually had many health issues as a young man that led him to pursuing physical fitness. I think he had a very strong resolve and was dedicated to excellence. He made sure to sleep well every night, fueled up on high quality food and supplements, and really loved what he was doing in life. You cannot go wrong with that combination. Q. From what I can tell, it is Paleo Diets that have taken the fitness, bodybuilding and strength sports by storm lately. Do you agree? And, if so, do you see any inroads being made by vegan and/or vegetarian athletes? A. The Paleo Diet is very popular and many do well on it. One cannot argue with results so if one feels great on the paleo diet than more power to him or her. A vegan diet is not necessarily the ideal fit for everyone but many are making it work very well. UFC fighters Mac Danzig and Nick Diaz thrive on a vegan diet and more and more athletes are trying out a vegan diet or something close to it and feeling great. As more athletes and training enthusiasts show it can be done well, more people will take a look and give it a shot. Q. So what are you working on now? Any new favorite projects or products that you would like to share? A. I recently released my book "Live Life Aggressively! What Self-Help Gurus Should Be Telling You" which is doing very well. 100% of the profit is going to help wounded soldiers and abandoned animals via two great organizations: Lifequest transitions and the Nevada SPCA . I am working on a new testosterone boosting supplement that contains a south African herb called Bulbine Natalensis which has been shown to raise T by 347% and lower estrogen by 35%. 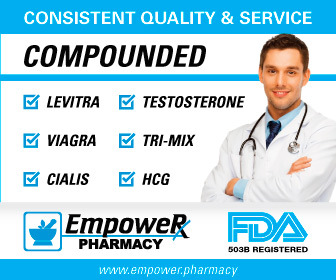 It will be combined with a few other things that further free testosterone and also enhance insulin.